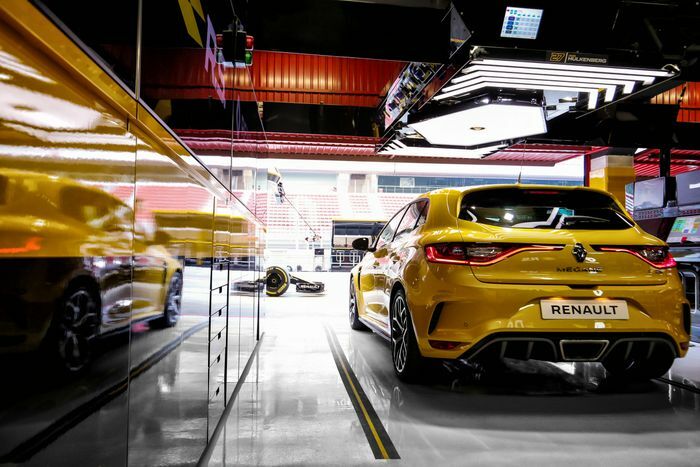 Renault Sport's more powerful, more focused Megane is here. Is Honda's front-wheel drive 'Ring record under threat? Honda should be worried right now. Its astonishing front-wheel drive Nurburgring lap record of 7min 43.8sec - set with the current ‘FK8’ Civic Type R - is under threat. Why? 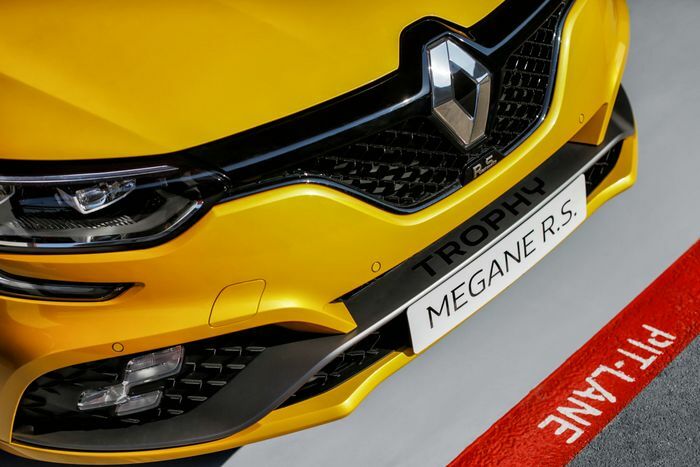 Because it could soon be broken by this: the new Renault Megane RS Trophy. 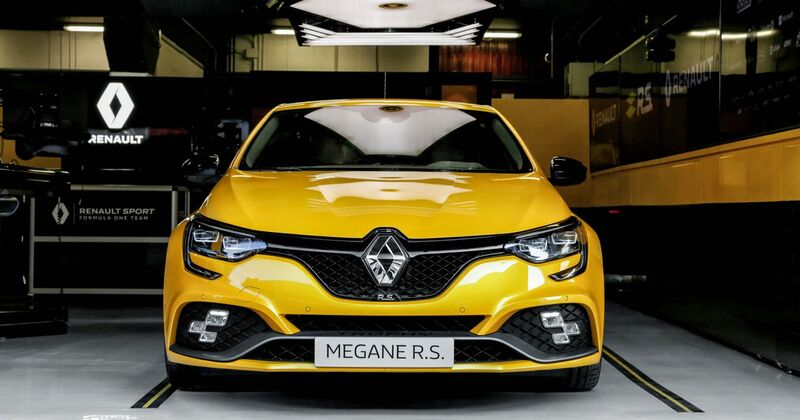 It uses the RS Cup as a starting point, meaning it’s already stiffer than the regular Sport Megane and fitted with a mechanical limited-slip differential. Only here, that firmer chassis is married to a 296bhp version of Renault’s 1.8-litre inline-four. 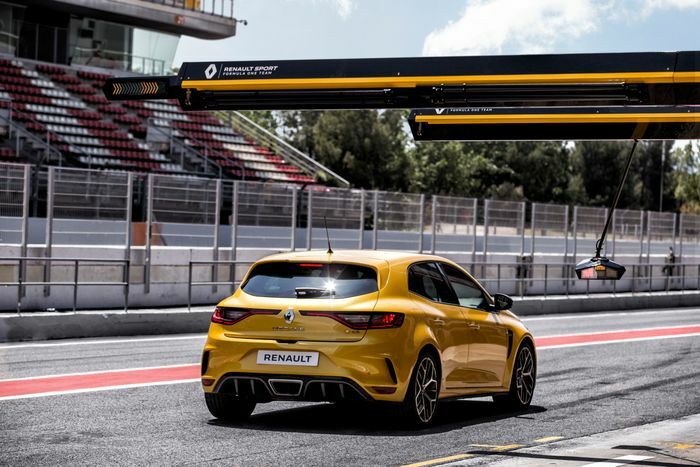 It’s 20bhp pokier than before, and now has a ceramic bearing turbocharger which will give better responsiveness and efficiency, Renault says. 0-62mph takes 5.7 seconds - exactly the same as the Type R - while the top seed is 162mph. It’s also been beefed up in the sound department thanks to a new active exhaust. The front brake discs - measuring 355mm in diameter - are now of a bi-material construction, meaning they’ll be more resistant to fade while in heavy use. On the inside, you’ll find a pair of Alcantara-trimmed Recaro bucket seats. Interestingly, Renault has mounted them 20mm lower to improve the driving position. If only Ford had done the same with the Focus RS. Like what you see? It’s available with either a six-speed manual gearbox or Renault’s ‘EDC’ dual-clutch automatic. It’ll be available to order in Autumn, and the first deliveries will kick off this winter.